Winter Carp fishing River Ebro in Spain is some what underestimated!! So why Choose to Carp fish in the Winter? In the winter months the Carp in the River Ebro, Spain, tend to form large shoals which in turn means bigger catches of carp than which are regularly made. 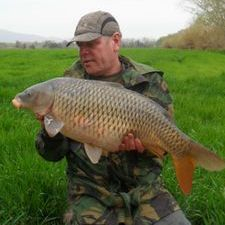 The carp here in the river Ebro are not hook-shy, like there pond dwelling cousins of other countries in Europe. And because they are always on the move they are strong and hard fighting, this guarantees a good opportunity for a good fight. So all you have to do is hold on!! The Anglers, who doesn’t enjoy the strong summer sun, will enjoy the normal winters day temperature, which starts at 6-10 centigrade and by mid-day to 15-20 centigrade. For the Angler who wants to benefit from the low cost fare rates that are on offer in the winter months. Ryanair, Easy jet, Jet 2 fly into Barcelona airport non-stop in the winter months for as little as £20. If you booked a flight, you could be sat in one of our private swims, carp fishing in less time than it takes to drive from Birmingham to Cornwall. 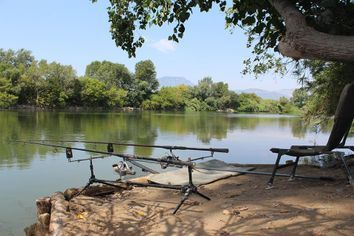 Its never been easier, just hop on Airplane to Barcelona, then jump on a train to Tortosa train station, and straight to the river bank with rod in hand, and go for that personal best, which exist here. We welcome all anglers, individuals, groups, families, etc, with all levels of fishing experience. All can benefit from the knowledge and experienced Ebro Sporting Adventure Catfish, Carp fishing guides. And the angler who prefers to be independent and unguided and bring their own tackle - that’s no problem. Stay in our self catering riverside accommodation and fish our private swims. We are located on the river banks of the Lower Ebro. Close to the town Tortosa. Tortosa is only a five-minute drive away from us, and is situated only two hours away from Barcelona. There is a direct train link which bring you through the stunning Catalunia countrside. Carp & Catfish fishing Guiding service, for all levels of experience. All inclusive Guided Catfishing tours, on our fully-equipped, custom Catfishing boat to target the Lower Ebro Catfish. Fishing tackle and equipment hire, plus bait and expendables to purchase. First-class accommodation, located at Tortosa, food and drinks supplied to a high standard. Airport pick-ups and return transport available.